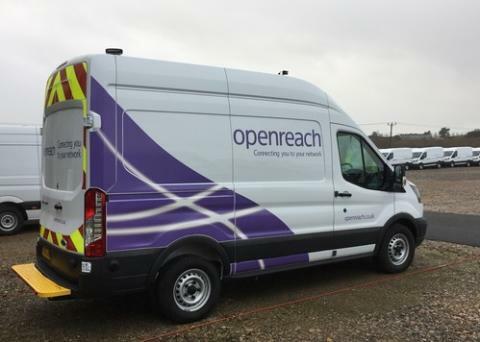 A partnership between local residents and Openreach will make ultrafast broadband available to 11 homes, in Broxmead Lane, Cuckfield near Haywards Heath. Openreach, Britain’s digital network business,will install new fibre optic cabling called Fibre-to-the-Premise (FTTP) technology, which is capable of delivering speeds up to 330Mbps. Ultrafast broadband speeds will be available for the first time for the residents in Broxmead Lane, from a wide range of broadband service providers. The co-funded deal, involving investment by local residents and Openreach, is expected to see the first residents get the ultrafast service in October this year. Steve Haines, managing director of next generation access for Openreach, said: “It is great to be able to work with proactive communities like the people of Broxmead Laneto find a fibre broadband solution. We are working on hundreds of similar community fibre partnership programmes across the UK, which are bringing faster internet access to areas not covered by any private or public funded fibre broadband rollout plans. Openreach is committed to making fibre broadband as widely available as possible.